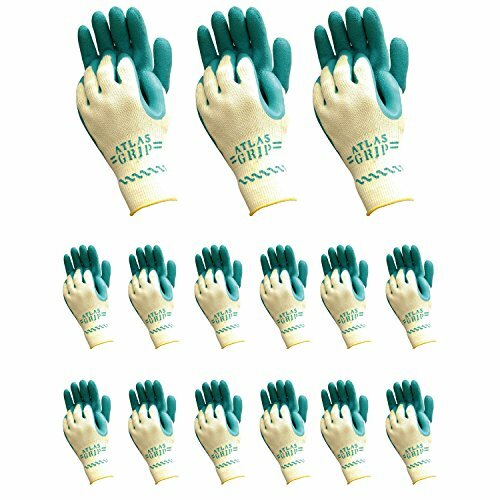 With a coated palm, rough finish, and polyester/cotton knit natural latex coating the Atlas 310 Grip Multi-Purpose X-Small XS Gardening Nylon Work Gloves includes 72-pairs of flexible general purpose yellow and green work gloves. Designed to be used for freight handling, construction, agriculture, sailing, gardening, and fishing. The knit liner provides a snug fit with an elasticated cuff, antibacterial and anti-odor treatment with a breathable back of the hand for reducing perspiration. With a patented dipping process it will allow the work glove to remain flexible, reducing hand fatigue and will conform to contours of the users hand for improved dexterity. Includes (72) XS Grip 310 Gardening Nylon Work Gloves by Atlas.